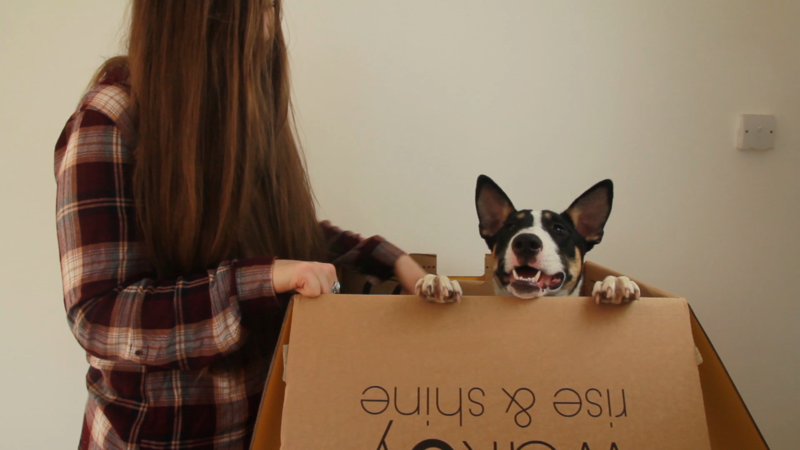 As you can see from the eve mattress unboxing video the packaging, branding and finish of the eve mattress is beautiful. 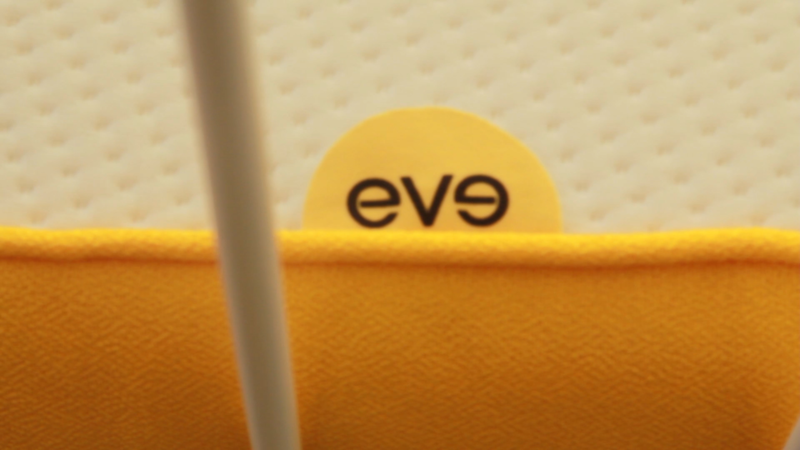 But other than the brilliant yellow and cute graphics what makes an eve mattress different from any other? 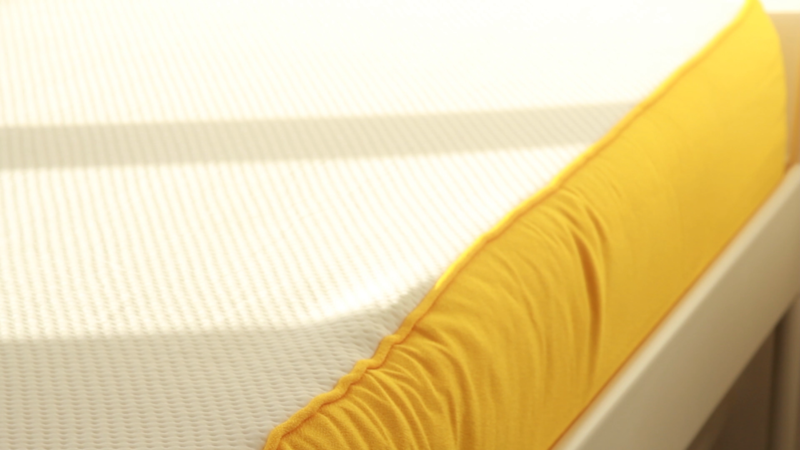 The eve mattress was created to be beautiful and beautifully simple whilst remaining at a fair price. Constantly improving and developing their designs, listening to customer feedback they have created, what they your consider as the most comfortable mattress ever made. Having slept only one night on it I cannot review the mattress at the moment. It is very firm and I will do a full review after many hours of hard work, study and investigation of the mattress at the end of the month. If you are unsure about committing to an eve mattress they offer a 100 day trial. If it’s not the perfect mattress for you they collect it and give a full refund. 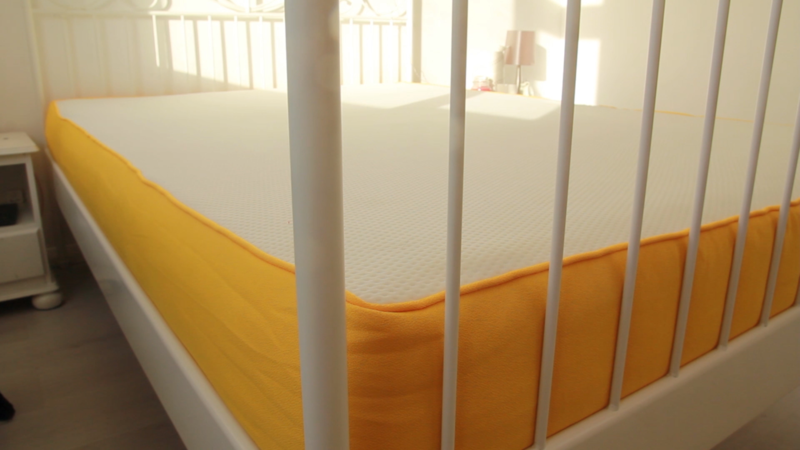 A mid layer of highly open-celled foam: this layer encourages air flow, is responsive, a bit bouncy and highly durable, providing the perfect sandwich layer between the base and top layers. A top layer of new-generation memory foam: engineered to give total body support with a bit of bounce, so you don’t get that ‘stuck’ feeling often associated with traditional memory foams, along with cooling properties so you don’t over-heat as you sleep. A cover lovingly hand-sewn in the UK: this protects your eve and, by the way, doesn’t it look great? My favourite part about the eve mattress is that is has been proudly made in the UK. I love to support British brands, the eve mattress is engineered in London, it’s covers are hand sewn in Huddersfield and the mattress is then assembled in their Lancashire factory. Previous Post Slimming World Meringue Raspberry Fool – April Fool Syn Free Recipe!